How could we make jury duty feel like a privilege, not a pain? 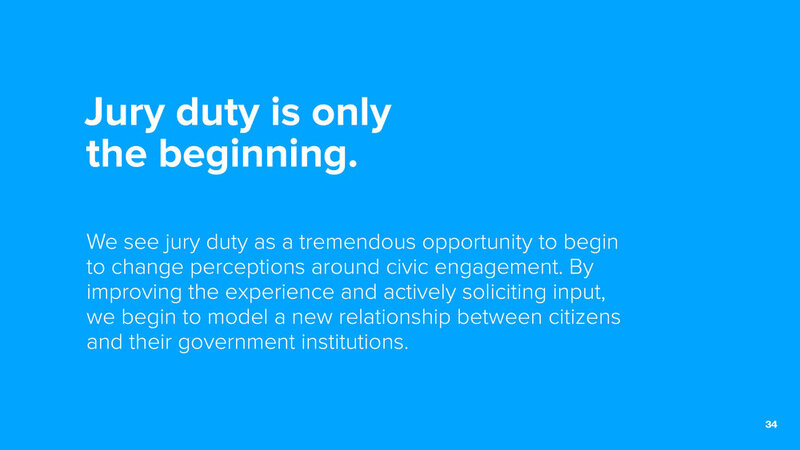 A work in progress, this proposal is for a service that is designed to improve the experience of doing jury duty. By partnering with the county court, Civic Perks accompanies you from the first moment—receiving your summons—throughout the process of jury duty, and even rewards you for your service. Does my subtitle still fit?